In honor of Valentine's Day, oil prices are following the arc of Cupids arrow, and heading higher. Although another likely bearish weekly inventory report lies in store tomorrow, production cut expectations carry more influence - at least today - to encourage a rally. Hark, here are five things to consider in oil markets today. 1) This Valentine's Day, U.S. producers are feeling the love from OPEC, as the recent rally in response to an OPEC production cut is considered 'a gift to U.S. producers' (h/t @TroyBVincent). This notion has not only been endorsed by yesterday's EIA drilling productivity report, but also in the nose-bleed prices being paid for acreage in the Permian Basin (hark, $60,000 / acre). 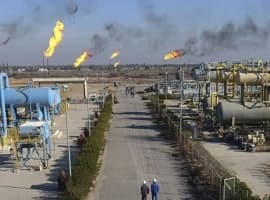 All evidence is indicating that an oil price over $50 is fanning the flames of higher production. As the chart below illustrates, the total U.S. oil rig count is being led higher by the rebound in the Permian. The Permian rig count is currently at 301, up 169 from a low of 132 last April. As for the total oil rig count, it is up to 591, from a low of 316 last May. So the total rig count is up 275 - with over 60 percent of the increase accounted for by the Permian. 2) We said yesterday that OPEC's compliance in January was reminiscent of one of Jack Nicholson's best performances (As Good As It Gets). The chart below from the WSJ today highlights how exempt members from OPEC are helping to offset some of the good work from those complying. 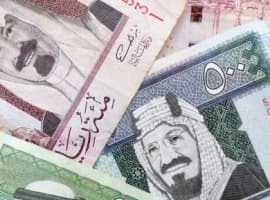 According to direct communications from Saudi Arabia, the kingdom has cut by over 700,000 bpd (a country mile away from the compliance level of 486,000 bpd), as it seemingly tries to offset both those who aren't fully complying....and those who are exempt. 3) According to secondary sources in yesterday's OPEC monthly report, Nigerian oil production in January is up 150,000 bpd from Q3's average, while Libya's output is up nearly 364,000 bpd. Just today the Libyan NOC chairman says production is up to 700,000 bpd; our ClipperData below show Libyan and Nigerian export loadings so far this month are up nearly 600,000 bpd from December's low: Related: Is $60 Oil Within Reach? 4) In the aftermath of India's anti-corruption crackdown, in which it took 86 percent of its bank notes out of circulation, refined product demand fell by the most since May 2003. Consumption in January fell by 4.5 percent year-on-year, with diesel dropping by 7.8 percent. 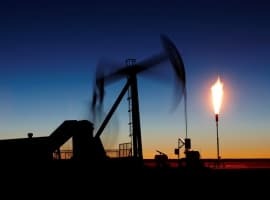 Nonetheless, OPEC projects that India's economy will still grow by 7.1 percent this year, with its anti-corruption drive providing a speedbump to economic growth, as opposed to a handbrake. 5) Finally, Saudi Arabia Energy Minister Khalid Al-Falih said this month that the kingdom is looking to invest $30 billion to $50 billion in renewables. It plans to build wind and solar plants in its northwestern desert, with a goal of offsetting 80,000 bpd of oil used in power generation. This, in combination with its push towards natural gas-fired power generation, could completely eradicate the kingdom's need for crude in power generation. Energy efficiency is also a focus: by improving the country's energy efficiency by 4 percent per year, it could save the equivalent of 1 million bpd of oil by 2030.